Big Break is a four piece band based out of China Grove North Carolina, delivering lyric driven music that incorporates a healthy spectrum of rock and roll, funk, ska, soul, reggae and americana. Songs of reassurance and comfort, stories told and connections made, always honest and always with the right musical backing. After touring the Carolinas and building sounds that pull from all the far corners of their state, BIG BREAK is releasing their first full length album and third overall release, HEADFUL OF MELODIES. BIG BREAK has built a strong regional fan base through their live shows, which are driven with deep emotion and convey the soul of the artist and the every man. The multitude of musical influences and highly relatable lyrics, make for music that connects directly with first time listeners as well as veteran Big Break fans. They have played shows with bands such as TR3 featuring Tim Reynolds, Dangermuffin, Yarn, The Get Right Band, The Trongone Band and have performed at festivals including Clear Mountain View, Earth Day Jam, Irie Vibes and Revolution. HEADFUL OF MELODIES will be the bands’ very first full length album with 10 heartfelt, lyric driven songs that come straight from diversity and tribulation. Tracking began in 2014 but was violently disrupted when the songwriter and band founder, David Myers, was in a motorcycle crash that left him paralyzed below the chest. After years of rehabilitation of body and spirit, Myers and his bandmates completed the project, a testament to human perseverance and optimism. That outlook permeates these songs, whose lyrics emphasize positivity and a progressive mindset. David Myers is the guitarist, vocalist and songwriter of Big Break. He made the transition from solo performer in 2010 when he assembled a band to record some of his originals. His lyrics as well as his live performances come straight from the heart and have a way of connecting to listeners. Myers’ annunciation shows pride in the words assembled and his guitar playing compliments their poetry. He’s come a long way from the “handful of Dave” that used to go at it alone. Alan Erickson is a co-founder of the band, joining originally as the bass player and later switching to keys(piano, organ, synth etc…). He is a classically trained pianist and has used his skills for the good of all in his contributions to the bands style. Alan also played a vital role in the completion of Headful of Melodies. Not only did he contribute all of the bass and keyboard parts that were used, he did all the engineering and a majority of the mixing and editing. Louis Bodak joined in 2015, bringing over 50 years of drumming and performing experience to the band. 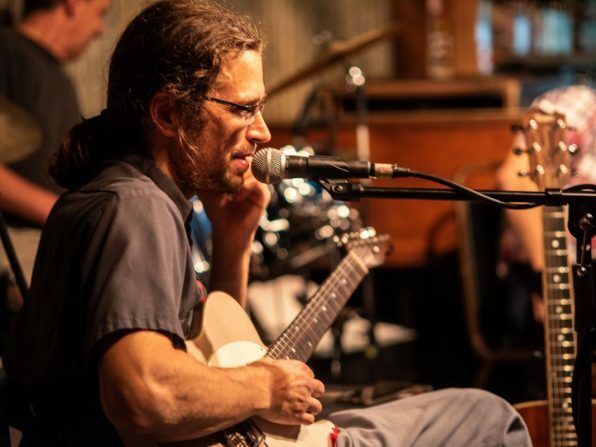 His musical accomplishments include multiple styles performed in dozens of bands such as No.9 Coal (jamgrass), To The Max (rock and roll), Last Supper (punk rock), Sy Arden (Indy Folk), Uncle Chick Band (country rock) and many more. While with these groups he opened up for The Ramones, Dr. John, Outlaws, New Riders as well as countless others. Louis’ permanent smile, high energy and love for performing makes him a perfect addition to the team. Kjeff Hanson is the newest addition to Big Break. He joined in November of 2017, quickly learned dozens of original songs and began performing. This allowed Alan to switch to keys and completely changed the dynamic of the live shows. Kjeff has a smooth style all of his own that he is always refining. This will undoubtably have an exciting effect on the new music they produce. Big Break is on the move again, coming to a venue near you!